Heretics and Devils. Some would say they are not mutually exclusive, some would look closer at who is calling the kettle black. Then there are some who would say, "That's a good idea for a TV show!" That's what were talking about on today's podcast, the result of the latter. 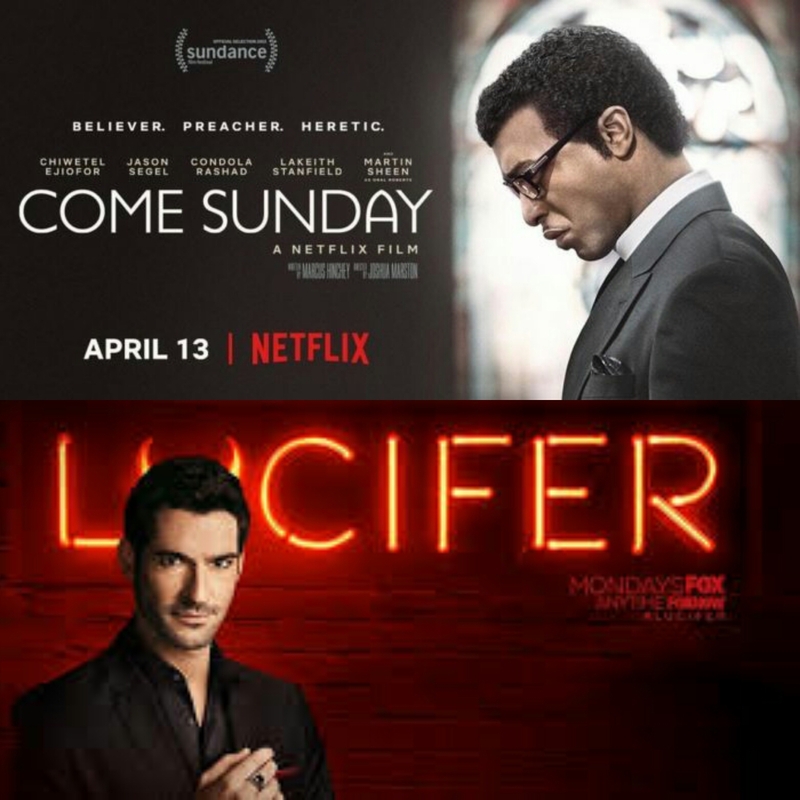 Come Sunday is a docudrama and "Lucifer" is a crime procedural. "Wait...huh?" you might say, but yes, Lucifer has more in common with Castle than it does with American Horror Story. Both shows will soon be on Netflix...coincidence? Another theme episode is in store for our next podcast. We will look at the life and work of Fred Rogers as we review Won't You Be My Neighbor? (which should be available for home viewing by the time the episode is released) and the eternal show "Mr Roger's Neighborhood" (of which at great deal of episodes can be found on Amazon Prime).